Twenty-four days. That’s how long until our Philippines Mission Team is set to depart. But there are several factors that could disrupt or even cancel this trip. 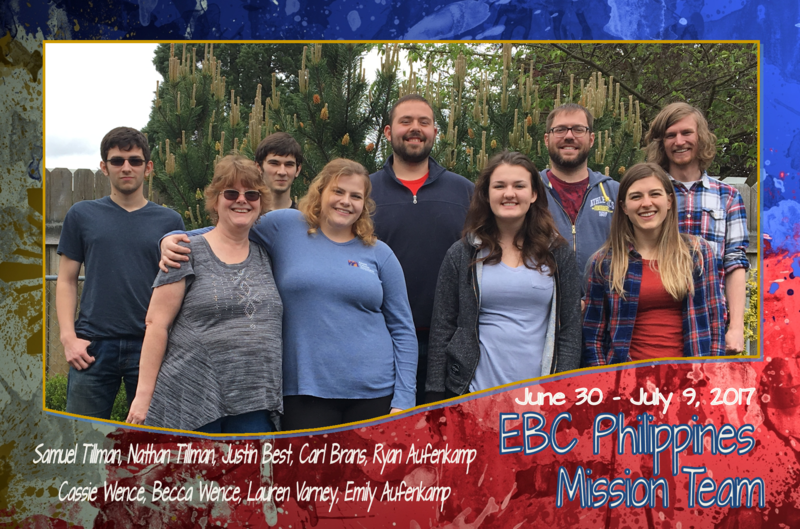 Just as we did last weekend, I would ask you to pray for the Philippines and the mission trip this week, including these three critical factors. Melita Root’s Health: Melita is again dealing with significant health problems that forced a trip to the hospital in Manila last Wednesday. She is now home again and seems to be on the mend. But if her health is not good it would be very difficult to host our mission team and we may need to cancel. Political Unrest: As you have no doubt heard, ISIS is fighting for control of the southern island of the Philippines which has a significant Muslim minority. The President of the Philippines has declared martial law on that island and has threatened to extend it over the entire nation. Then there was some kind of terrorist attack on Wednesday at a resort in Manila near the airport. While initial reports are that it was not related to the trouble in the south, it is still part of a larger concern about safety for the mission team. Team Member Funding: This prayer request is now a praise! I just received word this morning that through the generosity of God’s people at the Chili Cookoff, the Italian Soda table and other designated gifts, our entire team is now fully funded! All additional funds raised will go toward any extra airfare caused by waiting to buy the tickets, and the building projects going on at the Second Mile Campus where Gary and Melita are, that our team may be a part of while they are there. This is very encouraging and gives me hope that God will make the way possible. We will monitor these issues and make a go/no-go decision at the end of this week. Gary Root’s perspective will be particularly important as we consider what to do. Please pray for God to work in these situations and for wisdom for our leaders as we make a decision.